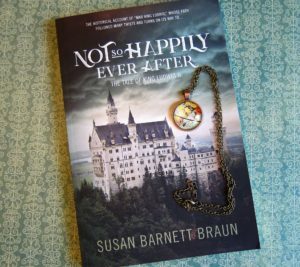 It isn’t any wonder, then, that when I saw the book, Not So Happily Ever After about King Ludwig II of Neuschwanstein fame, I snagged a review copy. I knew nothing of this man or his history and was eager to learn about the man whose creativity had inspired a man like Walt Disney. Note: links may be affiliate links that provide me with a small commission at no extra expense to you. Also, I requested a review copy of this book. Opinions are my own. Yep. This isn’t a happy book. I won’t pretend it is. 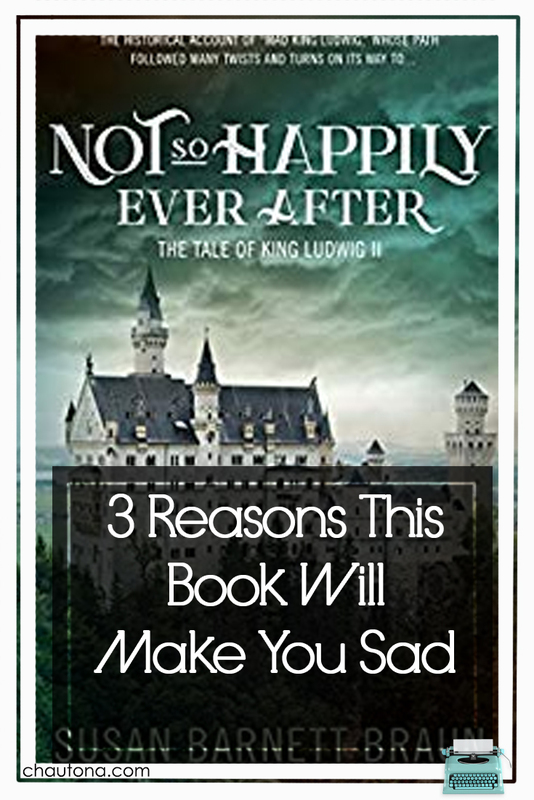 While the facts inside are interesting, the story resembles more of a “Grimm’s” fairy tale than the less morose ones by Hans Christian Andersen. A significant portion of the book is dedicated to King Ludwig’s childhood, and the stories broke my heart. Second: Him being trapped in a role he didn’t want but needed. One of the most heartbreaking things to me was that to be who he was most happy being, he needed to be King—or at least very wealthy. Unfortunately, he needed a life that allowed him solitude. Had he been able to be trained for something useful, he would have made a brilliant author and/or philanthropist-architect. Third: He was so alone for someone who seemed to want faith. From birth to death, I don’t think I’ve ever read of someone more alone. The man was surrounded by people—family, servants, members of state—but he both isolated himself and was cut off from others from outside, too. Several times, Ms. Braun mentions his acknowledgment that God was a part of his life, but he seems to have no comfort in that. All in all, I just found the story horribly sad. 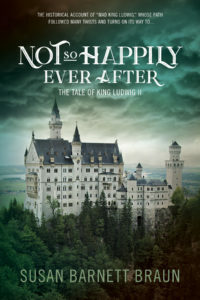 It’s definitely a “not so happily ever after” story. Despite it all, the story of King Ludwig II fascinates me, and I do intend to research him more. Additionally, I suspect many things as the source of his so-called madness, and I’d like to see what else I can learn. With that in mind, this book was a decent introduction to him for someone who knew nothing but that someone built a castle in Germany once. In fact, I actually assumed it had been built centuries before Ludwig did it. I just found it difficult to read. Look, I like dry history books. What others find boring, often keeps me riveted to the page. If this book had been just a history book about King Ludwig II, I think I might have loved it. However, by the end of the preface, I was confused, and by the end of the first chapter, frustrated. The style is… odd. Facts are laid out, one by one, but written in the style of a fairy tale—yet without any storytelling. Ms. Braun informs the reader of the facts with an omniscient fairy-teller “voice” and a superfluity of exclamation points. I think I actually saw another reviewer who caught that, which made me feel a little better about noticing. I mean, who notices exclamation points? Here’s the thing. 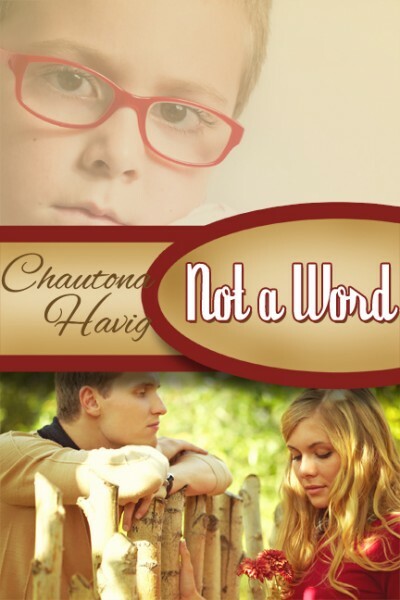 While this book was written for teens, it reads as if written for much younger children but at a slightly higher reading and appropriateness level. The result makes reading frustrating. Had it been a story alone… I would probably have loved it. Had it been a normal history non-fiction book, I would probably have loved that, too. Recommended for folks who love Neuschwanstein Castle and Disney, and who aren’t bothered by a strong “telling” narrative. I would not recommend it for children under fourteen. Some of the content matter is just a bit much. Think history is boring? Then you’ve never met Mad King Ludwig, who inspired Walt Disney with his magnificent castle in the clouds. He ruled the German kingdom of Bavaria for twenty-two years, inspiring his people by his support for the arts. And yet, “Mad King Ludwig” rarely appeared in the capital or attended any government functions. He slept most of the day and stayed awake all night. Ludwig dined with his horse and waved pistols at servants. He created a fantasy world inside his castles, complete with caves and trap-door tables. To this day, no one is sure exactly what caused his untimely death in a lake. Who was this man: fairy tale king? Insane eccentric? Mad King Ludwig’s life followed many twists and turns on its way to Not So Happily Ever After. The book’s intended audience is young adults, but it is perfect for adults wanting to learn more about Ludwig also. 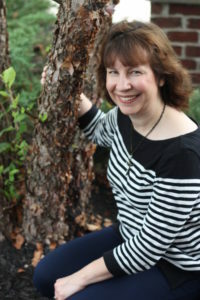 Susan has had work published in Parents, Children’s Ministry, and The Secret Place. She also writes online for Fort Wayne Visitor’s Bureau and blogs at Girls in White Dresses. She is married with three wonderful young adult daughters. Susan enjoys reading, playing piano and organ, and spending her time with her family and pets (currently three rabbits and a chinchilla). The king built wonderful castles. His most famous, Neuschwanstein, inspired even the talented Walt Disney. If you’ve visited Disneyland or Disney World, the castles at those parks are the Disney version of Ludwig’s real-life home. Thank you for sharing. Sounds fascinating. I had some similar thoughts about the target audience. The telling, wording, etc. felt like nonfiction for 4th or 5th graders, maybe a young 6th, but some of the material was too mature for that audience. I also kind of wish it ended at the “they were never seen again.” Except that the chapter after that one was really fascinating. Getting on KU. I loved visiting Neuschwanstein Castle when I was in Germany. I visited a couple of other castles that belonged to him/his family also. If I remember correctly, his death was suspected to be homicide. 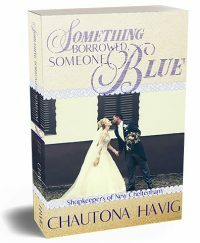 Thanks so much for reading and reviewing my book. I’m sorry it wasn’t totally your cup of tea.